With big companies like Nissan and Chevy embracing all-electric cars, how can independent EV makers compete? 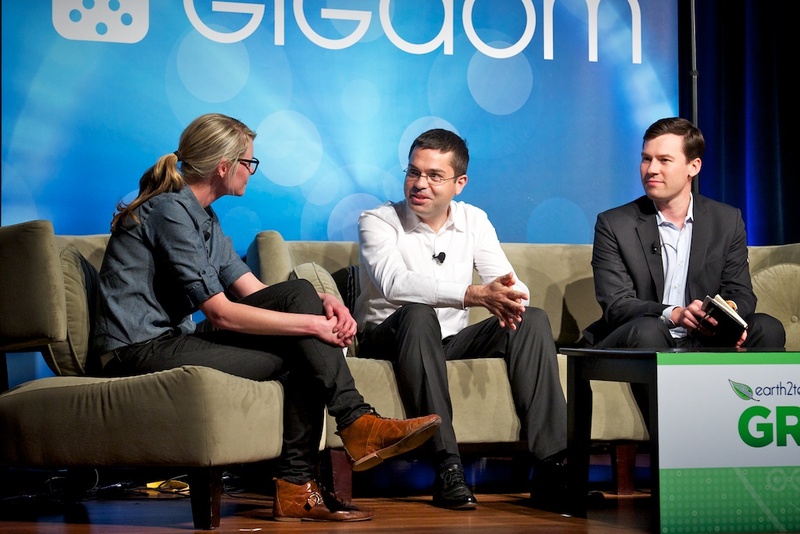 That question was at the heart of a the closing panel of GigaOM’s Green:Net conference, which featured Tesla’s Model S programs manager Jerome Guillen and Coda’s VP of BizDev Chris Paulson. Their answer? By abandoning the old ways of doing business. “Being independent allows you not to have any preconceived notions,” said Guillen. Paulson echoed this sentiment, saying that a small, independent company doesn’t have to follow the ways people built cars in the past, which also allows it to make smarter decisions faster. “We don’t have committees,” joked Paulson. What else will set the cars of both companies apart from the Leaf and other competing models from big manufacturers? Guillen said that the Model S will surprise customers with innovation, starting with trunk space under the hood and an entertainment system complete with a 17” screen. Paulson said that for his company, it’s all about battery innovation. Both Tesla and CODA are looking to retail spaces to sell electric cars to consumers. Tesla has been experimenting with an Apple-like retail experience on Santana Row in San Jose, California, and CODA wants to open a store in Los Angeles this summer. However, on stage, Paulson said that there’s no direct competition going on between the two companies. “We are launching the industry together,” he said. Guillen agreed, and said that he’s welcoming even the big boys to the party. “The more electric vehicles there are on the road, there better it is for all of us,” he said.